Michal Rataj (born 1975) is composer, performer and sound designer based in Prague, Czech Republic. He composes mainly electroacoustic and chamber or orchestral instrumental music and receives performances throughout Europe and in the USA and broadcasts worldwide. Recently he has been active as real-time performer of his acousmatic music and he gives sound performances alone or with different music partners. He was commissioned by Swedish Radio, WDR, Czech Radio, Czech Television, Prague Philharmonia and Tonspur Vienna among others. 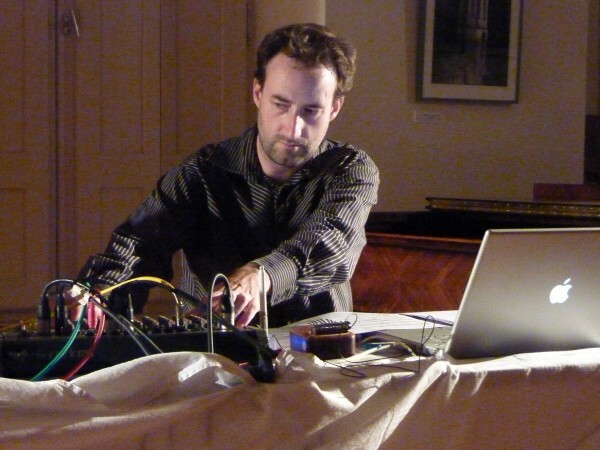 Rataj is associate professor of electroacoustic music at the Academy of Performing Arts and at the NYU in Prague. He studied musicology (Charles University, Prague) and composition (Academy of Performing Arts, Prague) with prof. Ivan Kurz and prof. Milan Slavický. He also went to study in Egham (UK) and Berlin (D) and as a Fulbright Scholar he conducted research in Center For New Music And Audio Technologies at University of California, Berkeley, CA in the academic year 2007 – 2008. He has worked as a radio producer at the Czech Radio since 2000, where he has produced over 100 original radioart works with artists from around the world. He was a member of the EBU Ars Acustica Group, his music has been broadcast worldwide and performed throughout Europe and in the USA.